Original Exploded Logo Packable Tote is rated 5.0 out of 5 by 3. 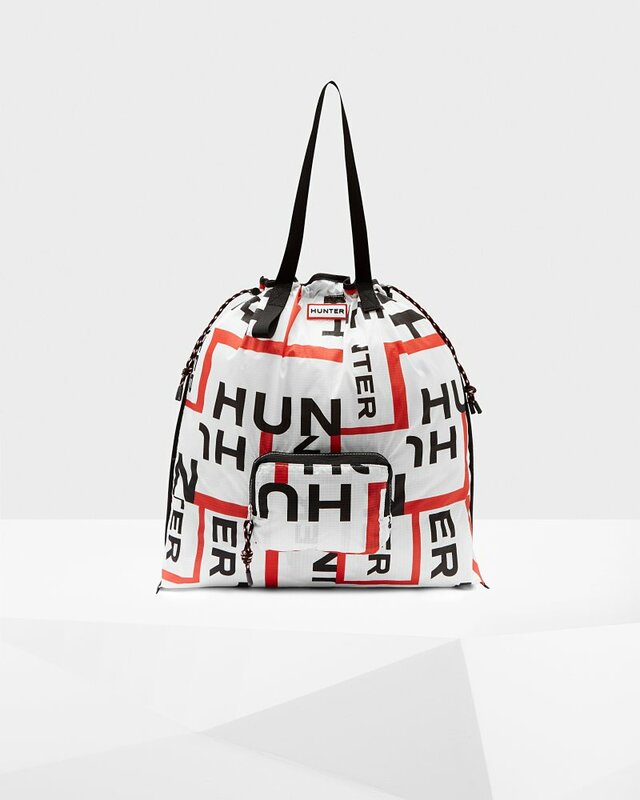 In Hunter's graphic exploded logo print, the Original Packable Tote is a cool choice for everyday use. Crafted from water-resistant, rip-resistant fabric, the tote is big enough to store a 13” Macbook in, and features extra zip-pouch pockets to safely store all the essentials. Rated 5 out of 5 by Vickalish from Creative explosion This bag/purse/tote is so cool. One must be equally cool to confidently carry this. I chose it because of the print. If it were not for my favorite HUNTER print, I would not get it. Not the traditional tote. Not a shoulder bag. Somewhere in the middle. Phenomenal fabric content. Get it. You'll be pleased. You won't have 2 of these.